Day One: High Point Fall Furniture Market. Where to begin? There were so many great new finds on our first day at market. Here is a bunk bed we call the White House Bunk. With this bunk bed, budding artists are able to create works of art right on the ends of their bed. Notice the conveniently placed pen holders along the top rail of the bottom bunk. You can also post messages, homework or other masterpieces on the magnetic whiteboard. Here is a soothing lavender suite in a velvety fabric with a touch of bling. Stuck in a corner with faux leather might be alright for the night. Winner of the day was the Zip-a-Bed combo cover. Every day parents ask us “how do you make a bunk bed?” Finally we have found an excellent answer. Now there is an all in one system (sort of like sheets and bed cover built together) with an easy-zip side closure that not only makes it easy to get your bunk bed looking neat and tidy, but does so in a snap. This versatile design zips open at both the head and foot of bed. They will be available in a wide selection of soft and cuddly fabrics. The 100% brushed polyester microfiber makes the Zip-a-Bed easy care; machine washable and will tumble dry with minimal wrinkling. Innovative construction, sewn corners and under-bed straps secure the Zip-a-Bed to the mattress without smashing your hands in the side rails. Soon available in either twin or full size. The Phillips Collection offered an end of day elixir for sore feet – Moonshine for tired dogs! Luckily my dogs walked the day away in ugly clogs. So, no sore feet, and being not brave of heart, I passed on this opportunity. But tell me please, is there Moonshine sold in Minnesota, or just not a Yankee thing? 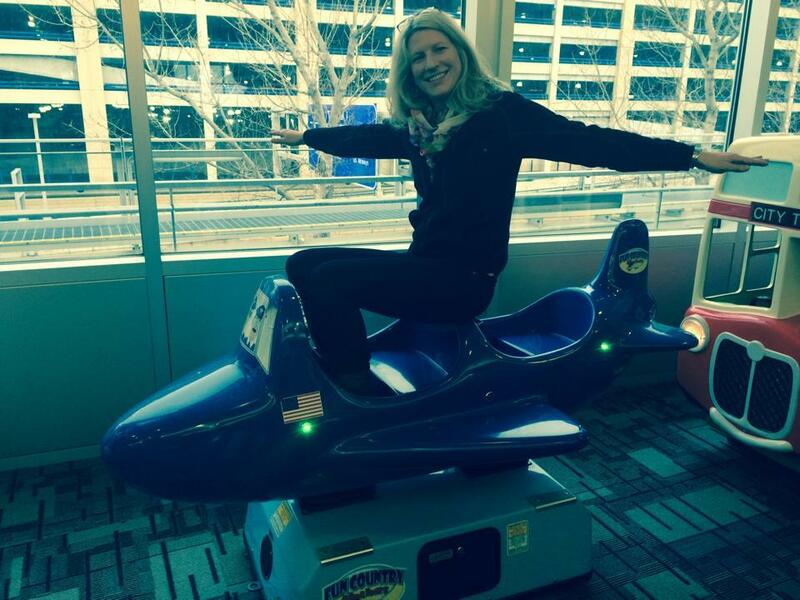 Today we fly away, off to the High Point Fall Furniture Market where we will be seeking out what is new, fun and exciting for kids. 10 million square feet of furniture and accessories causing your head to spin and feet ache. If you can’t find it in High Point…it probably doesn’t exist. We always find this market inspirational; a place to recharge the creative juices while learning all of the new trends and color forecasts. Annie describes it as “walking through the pages of a decorating magazine”. Keep your eyes on the blog as we post our amazing finds for kids. While in an airplane mode, how about treating your little one to this week’s recipe for fun? 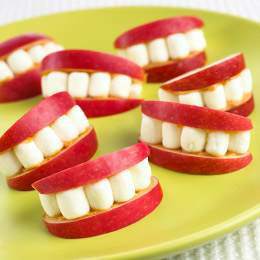 Fly on over to Made to Be Mama blog for the easy peasy instructions for this healthy snack. This colorful idea from Jeannette Fender, we are saving for a raining day craft. Or, this would be great before and up coming trip. Her blog, The Adventures of J-Man and Miller Bug holds the secret to building these aircraft. Wishing all of you a pleasant weekend as we challenge our feet walking through as many of the showrooms at the High Point Furniture Market. Wrap up some mummies then serve them up on a plate. Surprise the kiddos, there’s a hot dog inside. This how to is found at Family Fun. Looking for a no brainer and easy Halloween gift? This Mummy has no brain, just unwrap it and you will find Halloween Playdough. Another recipe from the Idea Room. Mummified Oreos could be your treat and not much of a trick to make. Go ask How She Does It, and she will show you how to too. Mummy? No silly, it’s a baby, well okay, maybe a baby Mummy. 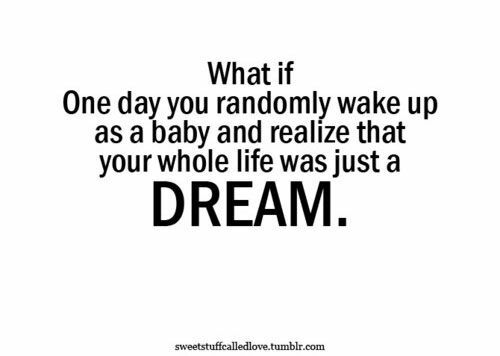 Babble claims all it takes is roll of gauze plus a cute baby and you’ll have your own baby Mummy. All you Mummys and Daddys too, have some family fun on Halloween. Doll up your kitchen with these witty yet accurate measuring cups. Inspired by traditional Russian Matryoshkas (wooden nesting dolls) they’re made to measure. Practical, charming, and no surprise, they’re easy to store, one tucks inside the other. Measure for measure, this set includes ¼ cup, ⅓ cup, ½ cup, ⅔ cup, ¾ cup, and 1 cup. Every year we kick off the Halloween season with a practice run of pumpkin carving. We begin in the kitchen with this favorite recipe. Give it a try, the kiddos will love it! Cut off the tops of bell peppers and use a spoon to remove the seeds. Save the tops for later! 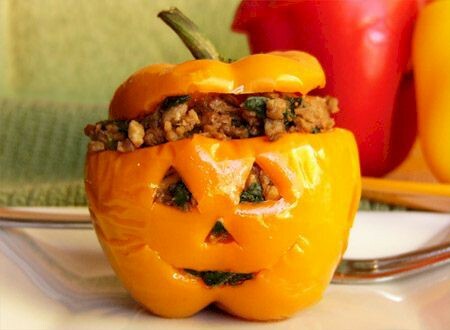 Use a pencil to draw the faces on the peppers, then use a small serrated knife to carve out the faces. Brush a little olive oil all over the inside of the pepper and lightly sprinkle them with salt and black pepper. At this point you can choose to bake them in a conventional oven for an hour or until soft. Heat the oil in a medium saucepan over medium heat. Add the onions and saute for about five minutes or until soft. Stir in the mushrooms and saute two more minutes. Stir in the garlic and saute for just about 30 seconds. Add the parsley salt, black pepper, quinoa, and vegetable broth. Reduce heat to low and simmer for 15 to 18 minutes or until all the water is absorbed and the quinoa is soft and fluffy. If the quinoa is still crunchy you can add more broth and simmer it for a few more minutes. Stuff, and bake in a covered casserole dish at 350 degrees F. for 25 to 30 minutes. 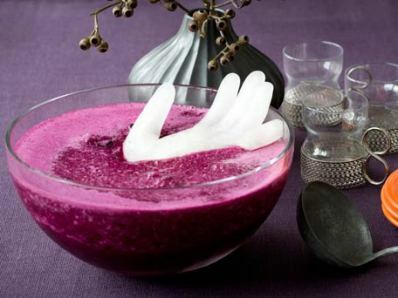 The Blood Moon yesterday reminded us it is time for some of this tasty bloody Vampire Punch. 1. Rinse the glove inside and out several times with cold water to make sure it doesn’t have any powder coating. Fill with water and tie the wrist tightly closed with a twist tie. Freeze solid. 2. Mix the juices and ginger ale in a large punch bowl. Cut the glove carefully off the hand and fingers with a sharp scissors and float the molded hand in the punch. Happy World Smile Day 2014! 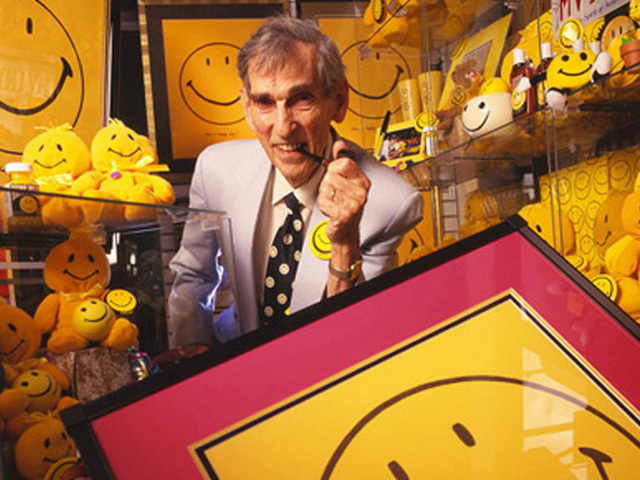 World Smile Day was created by Harvey Ball of Worcester, Massachusetts, who, in 1963, designed the original smiley face logo. Since 1963 they have taken over. Anybody else now see those little faces almost everywhere, every day of the year? I could not begin to count how many I see daily in email, Facebook and Twitter.